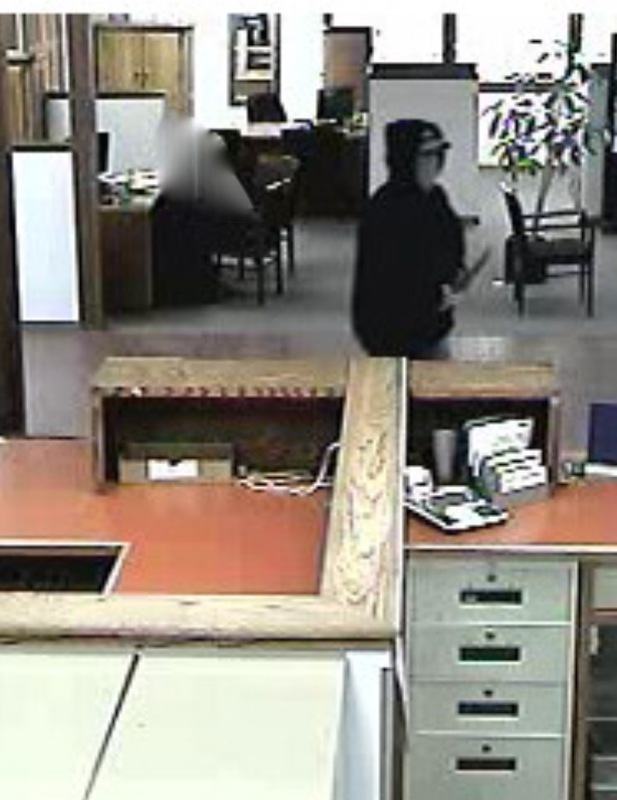 A man carrying a machete robbed a Kuna bank Friday afternoon. Kuna Police are pursuing leads and searching for the man, who got away with an undisclosed amount of cash. No employees or customers were hurt in the robbery. Kuna Police were called to the US Bank on W. Main Street at 1:11 p.m. Friday. Witnesses say a man walked in wearing a dark hooded sweatshirt and dark jeans, with a surgical mask covering the bottom of his face, and holding a machete-type knife. The man went up to a clerk and demanded cash. After getting an undisclosed amount of money, he ran out of the bank and headed southeast. Kuna Police arrived moments later and did an intensive search of the area but weren’t able to find him.